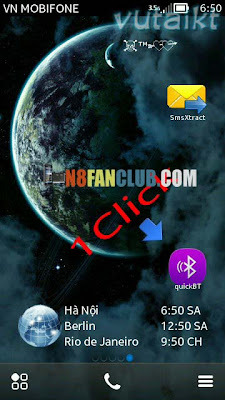 quickBT lets you switch bluetooth state by one-click on application icon. It needs 6 clicking usually. Save your time! One click and bluetooth is enabled/disabled.